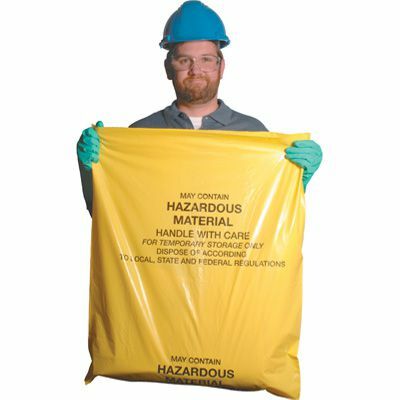 Each bag measures 26" x 31"
Bag reads " May contain hazardous material. Handle with care. For temporary storage only. Dispose of according to state, local and federal regulations"